A high-quality roof is essential for keeping your property safe and sound. Empire Contractors installs, repairs, and replaces roofs for residential and commercial customers throughout the region. 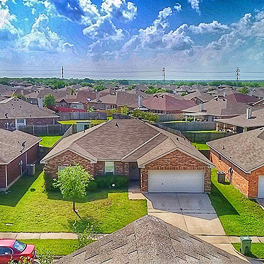 A new roof is a big investment in your property and can significantly increase your property value, but it's important to choose a company you can trust. A shoddy roofing job can do more harm than good. 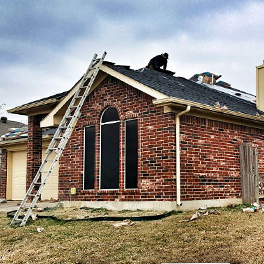 Our roofing company in Arlington, TX, has have an excellent reputation in the area, and we take pride in the quality of our work. We also offer a free lifetime warranty on materials and labor. You won't find a warranty like that anywhere else. Contact us to speak with a roofing expert about your project. for a free, no-obligation estimate. "This was by far the best roofing company that I have ever used. They were very professional all the way around. I would recommend them to anybody and everybody. They were there on time and everything went like clockwork. I walked around my house after they left and it was cleaner than when they started. If you are wondering if you need a new roof call them today!" - David S.
"Skeptical at first, but they took care of me when I needed them!" - Jon J. 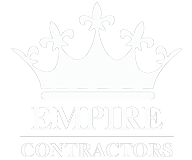 "My experience with Empire Contractors has been great! I've never had any work done to my roof. They were nice enough to show me the ins and outs of everything that needed to be done. The insurance adjuster agreed to the damages they discovered and a representative from Empire showed up when the adjuster was there so i didn't have to take care of it on my own. Thanks guys!" 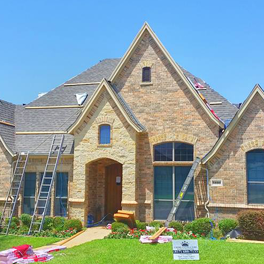 - Jack R.
Empire Contractors is a roofing company in Arlington, Texas. We tackle roofing projects of all sizes. Whether you need a few shingles repaired on your home or a brand new roof installed on a commercial facility, we have you covered. Our skilled team uses the latest roofing technologies and complies with all health and safety guidelines. Arlington is not only our place of work; it is our home and community. We're proud to offer a great service that customers throughout the area can rely on. Our clients are like family to us, and we treat their homes as if they were our own. 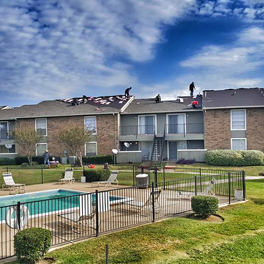 We work hard to minimize disruption and complete the requested roofing services in an expeditious manner. At Empire Contractors, we're passionate about roofing. We only hire qualified roofers, and we provide ongoing training and workshops to ensure we are offering the best possible service to our customers. Monday - Sunday: 7:00 a.m. - 7:00 p.m.